Call for accurate shipping costs. Due to weight, must be shipped by truck! 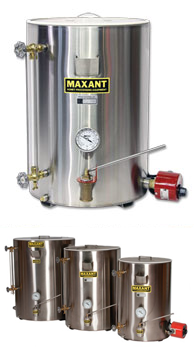 The tank is made with 18 gauge stainless steel double walled construction. It is 17.25 inches in diameter by 24 inches high. We have 300# and other sizes available also. Please call for details!